One Laptop per child is on Amazon with buy one, get one! 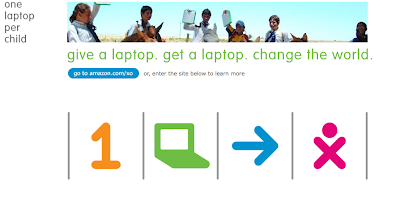 It's so exciting the the OLPC has a site on Amazon now in which you can buy a laptop for a kid and get one for yourself! And, they're only 200 bucks! It's not in my budget at the moment, but I am excited at the possibility of playing around with this super cool, little, extra-durable machine that runs on a cool new feat of user-centered design: sugar. There are no files, folders or applications. The unit of interaction is activity! We got the benefit of checking out sugar in my Human-Computer Interaction class at UW a couple of years ago, and I was impressed by the approach then. I am even more delighted now by the improvements in sugar as well as for the hardware of the laptop, which is especially designed for harsh conditions, bright sunlight, you name it. There is no way I wouldn't be getting this if I had kids. There is much likelihood I will get one even though I don't have kids! 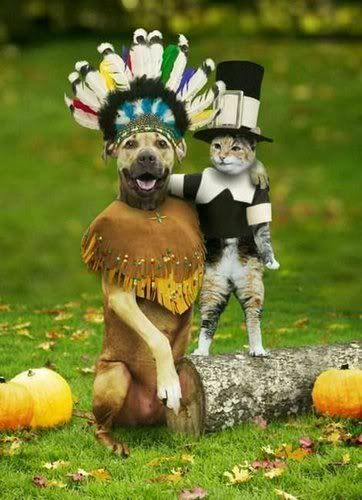 Check yer cynicism at the door! Portland is thrilled! Portland Hope Meadows is one of the projects/orgs supported by my work, and I was lucky enough to catch a brief news story about the first Hope Meadows which serves as the model for this amazing venture. Basically, honorary "grandparents" give about 6 hours a week to mentor/help out foster/adopted kids and their families in this intergenerational community. 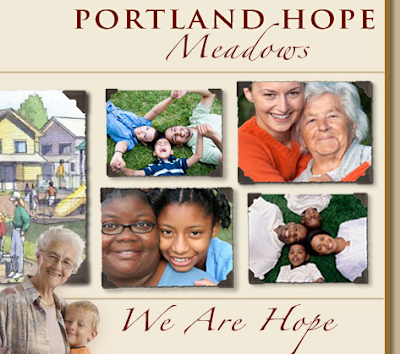 Portland Hope Meadow's Mission is to develop and sustain intergenerational neighborhoods for adoptive families of foster children that promote permanency, community and caring relationships, while offering safety and meaningful purpose in the daily lives of older adults. Find out more here. The Portland Hope Meadows is in the fund raising and getting the word out phase to create this amazing place for these kids. You can help, even without money! If anyone can find the video from the news story, or if you happen across it, can you post it here?